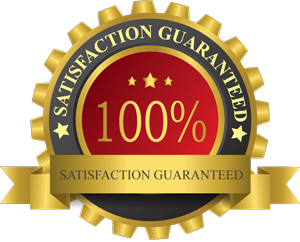 We are the top choice for affordable, reliable and overall customer satisfaction in service , repair and new systems installations. Disclaimer: Price based on split system, 14 seer and does not include and additional work such as duct work. Covers basic system change out. You don’t have to let a small budget keep you from getting what you really want or need. That’s why A1 Heating and Cooling offers promotional financing options when your purchase is made with a Home Design credit card issued by Synchrony Bank. To learn more about promotional financing options from Synchrony Financial, please contact Steve at 256.655.6659. 1 Subject to credit approval. Minimum monthly payments required. See store for details. 2 Based on purchase volume and receivables. At A1 Heating & Air Conditioning Company, we continuously strive to be the best in service, repairs, new system installations, lowest overall final price, and highest overall customer satisfaction reviews. Our ultimate goal is to ensure that you are completely satisfied with the end result of your HVAC service, repair, or replacement. We believe that when you compare our policies, and experience our service, you will continue to use us, and refer us to your family and friends. This is our way of building and preserving our business now and in the future. We are fast becoming the alternative to large companies with enormous overhead. A1 Heating & Air Conditioning Company is continuously improving quality, delivery, and pricing. We have created a competitive, lean business model that keeps our costs lower than most of our competitors. These cost reductions ensure that you, the customer, receive the best possible quality, service, and price. When we arrive at your home for HVAC services or repairs, we take extra care in diagnosing the problem, so we do the job right the first time. We only use factory parts for your HVAC system. We also stock our trucks with many common parts so that there is less time in the completion of your job. This equates to savings on your final bill. Many times we can save you 10-30% over what other companies charge. 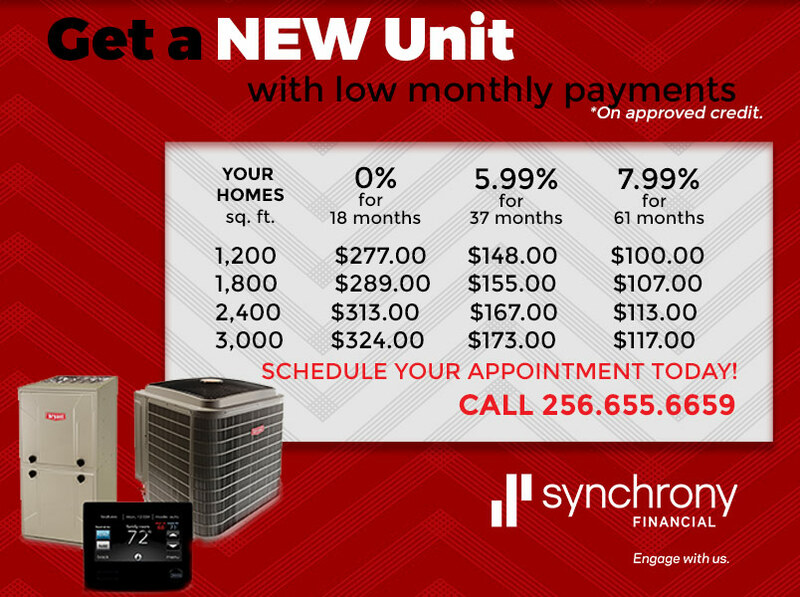 Financing with approved credit is provided by Synchrony Bank. The application process is simple and the credit decisions are made within a few minutes. We offer 0% financing for 18 months. We also have several other long term financing options available to fit your budget. 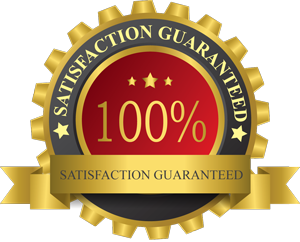 The A1 Heating & Air Conditioning mission is to provide honest, reliable HVAC service. Whether it’s for an emergency heating repair or air conditioning repair, or a heating replacement or air conditioning replacement, we’re there when you need us! 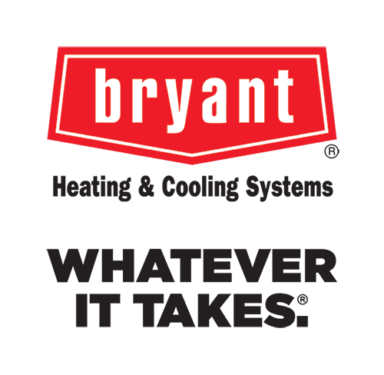 Learn about the benefits of Bryant’s most efficient heat pump. 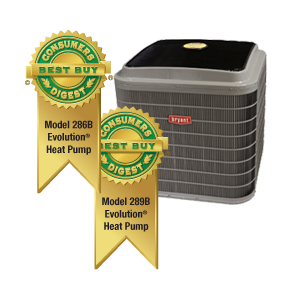 We Install, Service & Repair ALL Major HVAC Brands! A1 Heating & Air Conditioning is a licensed & insured Alabama heating and air company that services Huntsville, Madison and surrounding areas.